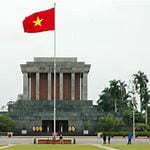 VIETNAM RED – READY TO GO! Only 11 days to go until we are on our way! Hopefully you have started your packing by now and are getting excited!